A tribute to Stanley Pranin Sensei, by Tom Collings, a veteran aikidoka and longtime friend of Stan. The recent passing of Stan Pranin left many who knew him with a feeling of loss and emptiness. During my four and a half decades in aikido, I studied with many of the leading masters in the aikido world, both in Japan and the United States. When these iconic figures passed away it was always a sad occasion. But few left me with the same feeling of loss I feel with Stan. To many that may strange. Let me explain. Stan was a role model. He was, to the end – his own man. He could not be bought with the promise of rank or position. 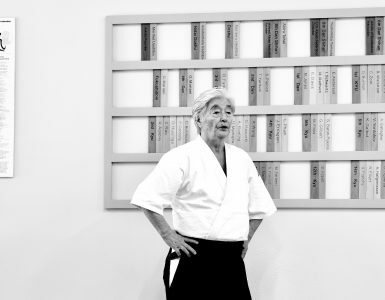 He remained 5th Dan for the last three decades I knew him – by choice. He was a more controversial figure than many realize. He possessed a single minded commitment to uncovering every facet of O-Sensei’s life, and the influences that created aikido at every stage of its development. You would think this work would be universally appreciated and supported, but that was not always the case. Yet he continued undeterred. Stan’s painstaking research, which involved tracking down and interviewing so many of O-Sensei’s old students, colleagues and relatives, was often met with suspicion by those who assumed he had some hidden agenda. His fact based approach, which dispelled many widely held aikido myths, was not embraced by the large aikido organizations. Shedding light on the significant differences between O-Sensei’s aikido and our modern sanitized version, took a special kind of tenacity. Stan had guts. Even his relationship with Morihiro Saito, with whom he is closely associated, was more problematic that many realize. Stan was nobody’s boy, never a yes man. He spoke his mind, and called it how he saw it. His successful efforts to bring O-Sensei’s earliest students together for joint demonstrations in Japan was quite a feat. It took all his Japanese fluency, cultural knowledge and diplomatic skills to pull those off. He followed this in later years with those amazing Aiki Expos in the US, which brought teachers of widely divergent aiki styles together. Stan celebrated diversity, never joining any one camp or biased view a what aikido was. 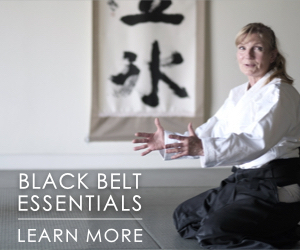 Yet always shining a light on O-Sensei’s method at its various stages of development. He gave us all, regardless of style, a point of reference. 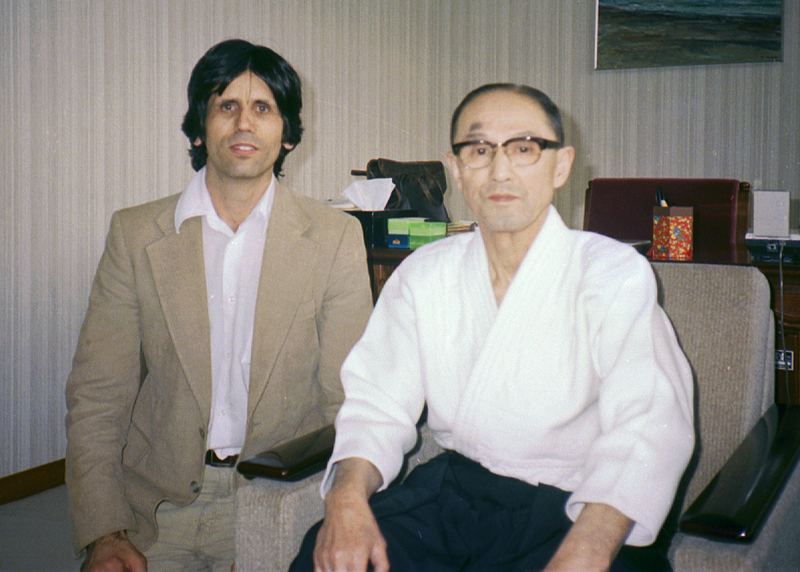 There were Japanese who, while respecting Stan’s efforts as a historian and scholar, criticized his “making money off aikido.” Yes, he made a modest living from aikido, as do hundreds of senseis and aikido shihan – but Stan was a gaijin. 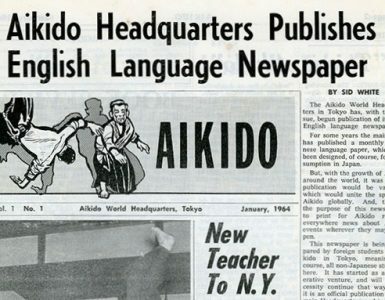 Some Japanese felt he did not have the same rights as they did, believing they were the true “owners” of aikido. Stan ignored this racist attitude, but I’m sure it hurt. I had limited contact with Stan the past few decades, and we had very different influences after our years training together at Hombu and Iwama. So I was amazed to discover in recent years that our training had ventured into similar uncharted territory. We both discovered O-Sensei’s emphasis on initiating interaction rather than waiting and reacting (the current mode of practice.) We both focused on O-Sensei’s near invisible – but undeniable – use of distraction and misdirection: using kiai, atemi, and leading movements to set up the encounter to nage’s advantage, influencing how the attacker moves and drawing out the attack we prefer. Like fascinated children with a new toy, our training became focused on dominating the moment of (and before) engagement – and snatching uke’s mental/physical balance (kuzushi.) Hard throws, and launching ukes into acrobatic falls lost all appeal. The initial engagement held the fascination, where the outcome of real combat is decided. He saw no skill or value in throwing hard. You can see it in his wonderful “Zone Theory” of aikido instructional videos. But no one was more concerned with aikido maintaining (or re-establishing) martial integrity, which he believed was an essential part of the founder’s legacy. 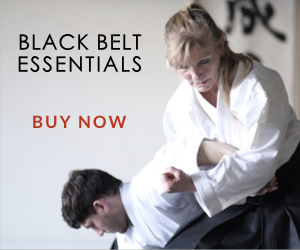 He stayed grounded in O-Sensei’s physical instruction, concepts with tangible practice applications, and basic techniques. He always seemed interested in my “report from the streets of New York,” my successes and failures using aikido as a tool in mental health and police work. And yet with all his seriousness and tenacity during training, I can not remember training with anyone more concerned with their partner’s safety. His humanity and sincerity permeated all his practice. Even during our rough and tumble training in 1970’s Iwama, when he was often the senior rank on the mat, I never saw him hurt anyone. He was a guide and protector. All his passion and excitement went into training and research about the founder, so he had little time for staying “connected” to those who give out rank and titles. No time for such trivia when uncovering the next piece of O-Sensei’s puzzle was always about to fall into place – nothing could compete with that! I’ll bet you Stan has already set up a nice little garage dojo, like the one he had in his home, and he already found a few good training partners. When Morihei heard the sounds of that piercing Pranin kiai, it surely pulled him out of retirement and back onto the mat. Wouldn’t you love to see them on the mat together. I am looking forward to it! A special thanks to Tom Collings for contributing this eloquent and impactful tribute to Stanley Pranin. 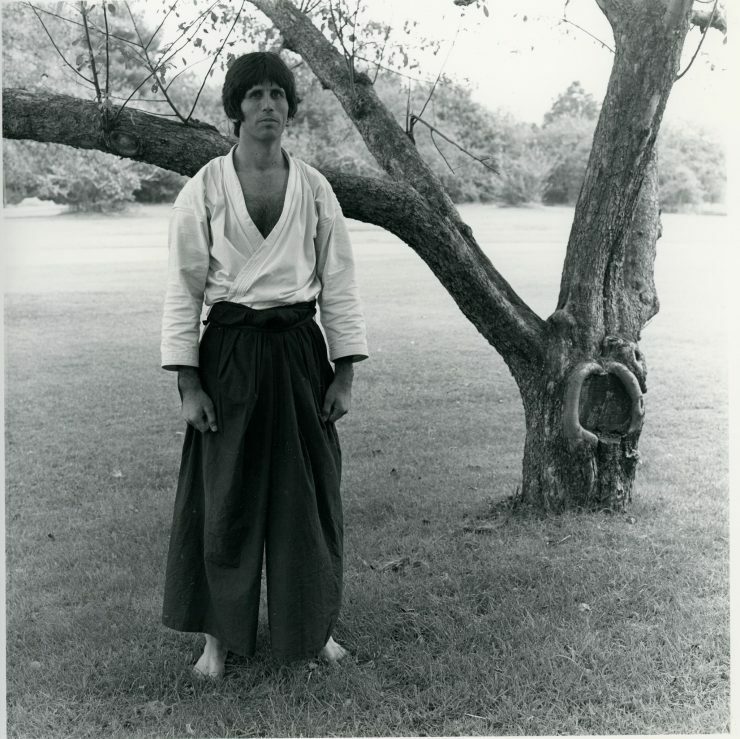 Tom began martial arts training with karate in the 1960’s and started aikido in the early 1970’s. After earning his black belt in New York, he spent 3 years training at the Aikido Hombu Dojo and at Iwama. Tom spent 26 years working for the NY State Corrections Department where his assignments included SOU – high risk parolee surveillance unit, fugitive parole violator search and apprehension, and parole officer for Level I – Violent Felony Offenders. He has also been a police instructor, crisis intervention trainer, and night supervisor for a juvenile detention facility. Tom currently works with various security agencies in the New York area, recently assisting the Secret Service during the presidential election. 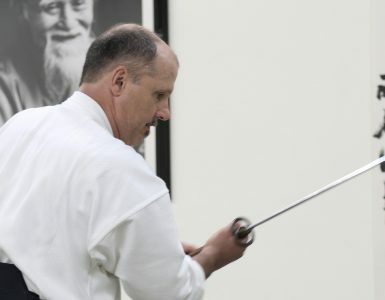 He leads Aikido and Tai Chi training at the Long Island Asian Studies Center in Bellmore, New York. RIP Mr. Panin, may your passion live forever! Fine article! fine and fitting tribute to a leading light,that has been passed on . You have done a fine job, of honoring Stanley Pranin. Hopefully, Stanley Pranin’s traditional research approach and writing, will continue. 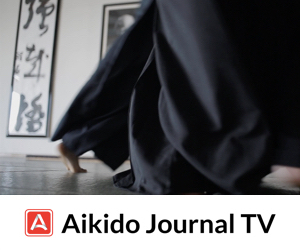 Hopefully, the Aikido Journal, will not disappear, into an archaeological cave. Stan was an incredible man and few people realize that Stan started many of the modern day masters of Aikido out of his garage in Monterey California in the early 70’s. Many of the students he taught at that time are still practicing and teaching Aikido around the world. People like Pat Hendrix, Tom Gamble, Dennis Evans took their first falls and learned their technique of training right out of Stan’s two car garage with matted floors and open doors. 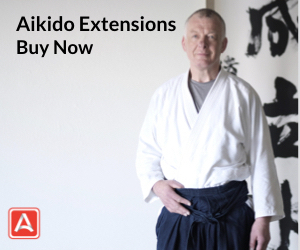 We always trained 7 days a week, had regular visits from the top ranking teachers in Aikido. Stan was a firm believer in the use of atemi, bo, jo and tanto training and also was one of the only teachers I have trained under who also taught using original movies staring O’Sensei as audio visual training along with the regular physical training. He was a linguist who could read and write 7 languages and studied sand scrip, the oldest written language on Earth I believe. The world seems to be a lesser place without Stan among us now but I am sure he is totally enjoying his after life with all the great Aikido teachers he so loved to write about, and he couldn’t help but love being able to now have a one on one relationship with O’Sensei now having all the unanswered questions from Earth now answered in his new Universal Home. Well spoken! You captured Stan’s integrity, spirit and passion perfectly. Thank you, Collings-sensei. While not exclusively an aikido-ka, I tried to read the Journal on a regular basis and was in awe of Mr. Pranin’s evident drive and integrity. It’s hard to believe that politics would persist as obstacle to his life’s mission in this day and age. May his memory live on in his great body of work. Great Article, Stan would have been Proud!!!! Stan Sensai is a deeply felt loss to the Martial Arts world. I admired and greatly respected the man and his quest for historically accurate Aikido teachings. I will always remember his gentle and compassionate teaching style. R.I.P. What a great article! I can honestly say, that Stanley Pranin was a lighthouse in my own, and I am sure, many many others’ journey in the Aikido experience and his articles and research will continue to lead and guide in the future. In a fast-paced world full of uncriticised statements by self-proclaimed masters of What-Nots, an Aikidoka, beginner or advanced, can quickly get lost in the misty world of degrading statements and ridicules that the art of Aikido is subjected to, no matter how general the accusations might seem. In that misty world, one can only hope for that any Aikidoka will discover the guiding beacon of sincerity and profound honesty that Stanley Pranin has put in this world. Thank you very much for this moving tribute. Yes Stan, we miss you but we know you’re still with us. thank you for all your unending work to promote aikido and for our frienship etc. over the last 50 years. dr. arthur fielder west l.a.